Bollywood’s new found Dancing Queen Shraddha Kapoor is back to her hard working ways. 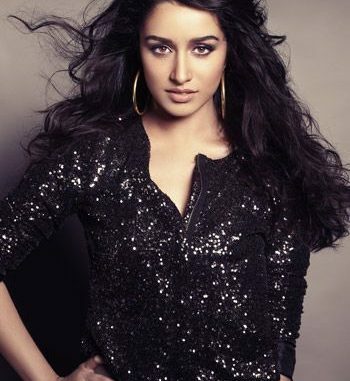 Shraddha who starred in the dance flick, ABCD-2 was praised for her exceptional dancing skills, but the actor is in no mood to rest and is hungry to learn. The ABCD-2 star, who is currently shooting with Tiger Shroff for ‘Baaghi’ has requested Tiger to teach her ‘Moon Walk’. ‘Moon Walk’ is a signature dance move introduced by Michael Jackson and every dance enthusiast looks forward to learn it. Tiger is a diehard Michael Jackson fan and an exceptional dancer himself, a known fact to all. Shraddha feels that Tiger is the best person who can guide her in getting the move right. The actor had trained in dancing for over a year for ABCD-2, she believes that the learning process shouldn’t stop and wants to continue the momentum. Shraddha is also looking forward to learn a lot of new dance moves from Tiger while shooting for ‘Baaghi’ given the talent Tiger possesses. After giving four back to back blockbusters, Shraddha will be seen opposite Tiger Shroff in ‘Baaghi’, which is directed by Sabir Khan and produced by Sajid Nadiadwala. The fresh pairing of Shraddha and Tiger is what the fans are eagerly looking forward to.